Our virtual tour providers and realtor clients all began where you are right now. They researched different property marketing solutions, worked out the numbers, and ultimately made the logical business decision to use the RTV virtual tour system to drive their virtual tour company or enhance their online real estate listings. We are pleased to offer to the friends and followers of RTV, on March 12, 2019, at 7:00 PM, a one-hour training session dedicated to virtual staging. Over the last year, there have been significant advancements in virtual staging technology as well as the addition of hundreds of pieces of new furniture for you to choose. If you’re already offering virtual staging in your business or thinking about offering it, we recommend that you come to this live RTV webinar event. During the show, we will be interviewing Tom Feis from SharpEye Visuals on the virtual staging process. Late last year Tom became RTV’s new “Go To” and recommended service provider for Full-Service virtual staging. Tom has staged just over two hundred photos for dozens of real estate agents and photographers around the globe. He is now allowing us to hold a webinar with him and he will share his expertise, provide tips, shortcuts and overall know-how on virtual staging. Come to this live event and learn how to get the most out of the virtual staging software. With virtual staging requests on the rise, the time to get started with Virtual Staging is now. Please be sure to register for The FORMULA 84 and enjoy one hour of virtual staging training. We hope you can all make it to the show on March 12, at 7:00 PM! Happy New Year from Team RTV! This year we were able to release a record number of wonderful virtual tour software enhancements and time savers to our already robust system. Looking back, we made new virtual tour technology announcements every month of the year! We are wrapping up 2018 today by announcing several new updates to our system that are outlined for you below. Please take a moment and watch a video overview of our virtual tour software updates here: https://youtu.be/aJmUa-mUImA and you can also read about each update in detail below. • RTV says goodbye to Adobe Flash – While our virtual tours have been Flash-free for quite some time now, our back end (Fusion Manager) had some remaining Flash elements that simply had to go. We are happy to announce that as of December of 2018 we no longer have any Flash elements in the RTV system! • All-in-one HTML 5 Scene Editor – Customers will notice a nice productivity boost the next time they use our new HTML 5 scene editor. The days of having to use the Still Photos Editor, followed by the Panorama Editor, followed by the Hot Spot Editor are over. Our new Scene Editor combines most of our editors into one, which allows you to do all of these things from one, easy to use, Editor. You can access the new Scene Editor from your Media Manager by double-clicking on any of your Still Photos, Video Clips, or Panoramic Photos. This double-click action will then open up new Scene Editor allowing you to quickly choose a video clip thumbnail, adjust Ken Burns and still photo calibration settings, add Hot Spots, and adjust panoramic settings. You will also like that we now allow you to quickly navigate back to the Media Manager from within the new Scene Editor. • New HTML 5 Hot Spot Editor – For those of you that like to create “Walkthrough” style virtual tours and utilize Hot Spots, you’ll love our new and improved HTML 5 Hot Spot Editor. It’s not only faster and easier to use, but it’s also “Smart” and steps you through the process of adding Hot Spots to scenes. If you create panoramas for your virtual tours and do not use Hot Spots, we would like to encourage you to try out the new Hot Spot Editor. Just click the “Plus” symbol and let our New Hot Spot Editor guide you through the process. It’s fast and very easy to use bringing RTV one step closer to full virtual walkthrough creations. • New HTML 5 Cloud Recorder – RTV’s Cloud Recorder is now 100% HTML 5. The Cloud Recorder allows your customers do their own voice overs on their virtual tours without the need for audio recording and editing software. If you’ve never used (or allowed your customers to use) the cloud recorder, we encourage you to give it a try. Reach out to RTV’s technical support team if you don’t know how to give your customers access to your tour manager, and we’ll step you through the process of granting user level access as well as using the Cloud Recorder. • New HTML 5 Floor Plan Editor – We have been seeing an uptick in the number of floor plans stored on tour system which means that our customers like our new “3 Way” Floor Plans which we launched at the beginning of this year. You’ll all be happy to know that our Floor Plan Editor is now HTML 5 and will also one day soon be a part of the All-in-One Scene Editor. • Fusion Navigation Changes – As you poke through the Fusion virtual tour system during your next build, you will likely take notice that some things have been moved around and relocated to places where they make a bit more sense and are more convenient throughout the tour creation process. As we continue to enhance the Fusion virtual tour system, you can expect much more organization such as this to occur, and we will always let you know when it does. Thank you once again for your support and we hope that you are as excited about the New Year as we are. Get ready for HTTPS tours as well as video streaming 2.0 as the New Year kicks off. See you next year! EasyMLS Updates – We have made EasyMLS even easier and faster for our users. Less buttons to click now for both USA and Canadian users. Photographers Creating Orders – By popular demand, you can now permit your virtual tour photographers to place their own orders and create tours from within Fusion. When your virtual tour photographers create a tour, you are given a notification and can keep track of their activity. Photographer Login – We’re very happy to let you know that you can now log directly into your virtual tour photographers account from your master virtual tour system account. This is a HUGE time saver for those of you with a large photography team. Additional Agent / Owner Permissions – When you grant them permission, both agents and owners are now allowed to log into your private labeled login (http://login.BlueLaVaMedia.com) and delete tours. Remember that you will need to grant this permission and it is off by default! Video Ripper Improvements – The video ripper that can be found under the “Video Promotion” section of your virtual tour manager now rips the videos with the audio tracks in the correct order. Consider using the video ripper to create short “Social” videos in addition to your longer YouTube versions. It’s easy and a great money maker! Video Delivery Update – For those of you wishing that you could find a way to easily send your customers your drone video, or home walkthrough video directly through Fusion we are happy to tell you that you can! 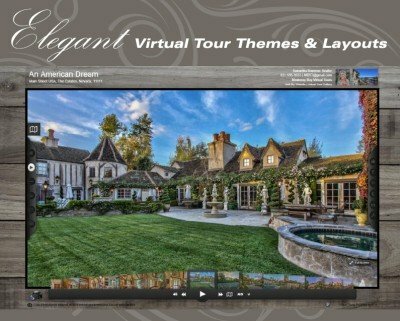 Check your deliverables section for both your created .mp4 video from our Video Ripper as well as the ability for you to send your customer any videos that you have added into your virtual tour production. Image Delivery Engine Update – We are very happy to let you know that you can now send your virtual tour customers their images in a zip file named one of three ways! Our Image Delivery Engine will now allow you to deliver your images to your customer using your scene sort order, the name you gave your images or you can choose to use your own scene title. Choose your favorite and most convenient naming convention and keep things easy on your customers with these new improvements to the RTV Image Delivery Engine! Improved Tour SEO – We know that the better a tour ranks in the SERPS the more views it will get, so we stand committed to making sure that your tours will get noticed by the search engines. Our new improved Tour Tags and META should give you a noticeable boost in both MacroSEO site and virtual tour ranking. Remember that your tours MUST be linked onto a site with “Follow” tags for the search engine spiders to pick them up and index them. We encourage you all to use the MacroSEO site to help accomplish this and be sure to blog all of your tours. See www.TourGrandTraverse.com for pointers. Hello RTV fans! We’re very excited to roll out several new updates to the Fusion Virtual Tour Software Manager that are outlined below. Most of these updates have already been announced in the Fusion “Latest Changes” log inside your virtual tour manager, but we like to blog about them too just in case you missed any during the busy work week! New Tour Deliverables Section – We are now live with our all new Deliverables section of your virtual tour manager. The new deliverables section offer a better workflow and now allows you to send everything that you might need to send your customer in one (1) email VS two or three. We also reformatted the email that is sent out to your customer making the title of each item more customer friendly and easier to understand. We encourage you to send yourself your virtual tour deliverable links and review the changes that have taken place, so you are prepared to explain the slight changes to your customers. Finally, you will notice that the image compile is faster than before. The image delivery engine will also remind you if you forget to compile your HD image package before you send to your customer. If you update your virtual tour with new images the image delivery engine will also encourage you to re-compile your ZIP file. Lots of goodies here team that help make your life a little easier. Manager Video Player Now HTML 5 – We have fully converted our manager video player to an HTML 5 format for you. You use the manager video player to preview your uploaded videos as well as to choose a video thumbnail. The HTML 5 video player works MUCH better than its flash predecessor! EasyMLS Now HTML 5 – Flash is no longer needed to utilize our EasyMLS feature. We recently made some updates to our EasyMLS system for the USA and Canada. We hope that you are enjoying the time savings this feature presents! New Autumn and Fall based Themes and Home Screen Backgrounds – Several of our providers have been requesting that we add in some themes and home screen backgrounds. We think you’ll love the new home screen backgrounds and themes that we’ve created for you. Enjoy! Panorama Editor Now HTML 5 – In our expedited focus to rid Fusion of all traces of Flash we are proud to announce to you that our Panorama Editor is now 100% HTML 5! The new Panorama editor works much better than the previous flash based version. New HTML 5 Tour Embed Code – The programming team has completely overhauled the way our deliverables section creates your virtual tour embed code. Now you are given three useful options for embedding a virtual tour depending on the situation. You can choose a fully responsive solution, a “Fill the Container” option, or you can manually set a specific height and width in percentage or pixels. It’s quite handy and all in HTML 5! GoDaddy Domain Registration Fixes – Last month the team implemented the new Godaddy API which gives us a bit more control over how we register your single property website domains. The new API, however, fails to set the forwarding and masking all the time at the point of sale which leaves some domains registered but not pointing to your production. The team has now created a queue system which holds the Godaddy connection until we can enable the masking and forwarding successfully. New NTREIS MLS Link – NTREIS (Dallas / Ft. Worth Board of Realtors) recently asked us to change our approved non-branded base URL from https://fusion.realtourvision.com/idx/TOURID to https://idx.realtourvision.com/TOURID Those living in the state of TX will have the NTREIS switch on by default under “Settings” – “Syndication”. Having this switch turned on will give you the new approved NTREIS non-branded link under your SECURE RTV LINKS tab in deliverables. Those in Texas that are not creating tours for the NTREIS MLS can feel free to turn this switch off if they like. Having this switch turned on ONLY changes the non-branded Secure RTV Link in deliverables. The link works exactly the same as the other non-branded link. The only difference is the URL. Our push to convert the remaining Flash components within the Fusion Virtual Tour Manager is nearly complete. We are hoping to take the new HTML 5 Hot Spot Editor and the new HTML 5 Floor Plan Editor live this coming week. Fingers crossed!! Once that is complete the only remaining Flash component of the RTV Fusion Virtual Tour Software Manager will be the Cloud Recorder. It’s been a long two months since we set out to rid Fusion of Flash and we’re nearly finished. We’re very proud to have the support and business of so many successful virtual tour photographers around the world that help us keep the development moving at full speed! Our new “Fusion Themes”, Video Streaming and several other updates are still on track to roll out before 2019 so be sure you stay tuned. Enjoy the new virtual tour software updates!